Today Simon, the Founder of the Wildlife Aid Foundation, was called out to rescue an adult Fox that was tangled up in a shed somewhere in Epsom, UK. Simon struggled to understand just how the poor Fox could get so entangled in such a small piece of exposed cable. 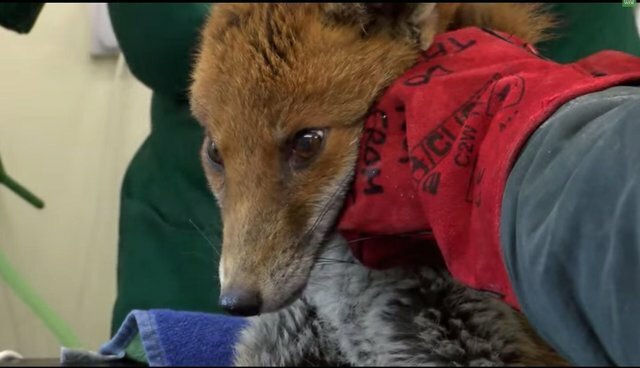 He did his best to restore the Fox's dignity and freedom, however the constriction on his leg was too bad and required treatment back at the wildlife hospital. We upload videos like this everyday. Watch them here. About TheWildlifeAidTV: Ever wanted to see the goings on behind the scenes at a Wildlife Rescue Centre? Well now you can! We have super cute hedgehogs eating their dinner, dramatic rescues of wild deer and everything in between.